Welcome to CPTV’s home for all things Great American Read. Stay up-to-date on this exciting nationwide campaign and competition! UPDATE: PBS revealed that To Kill a Mockingbird was voted by viewers as America’s best-loved novel during The Great American Read Grand Finale on Tuesday, October 23, 2018. For more information on the voting results, click here>>. To stream the Grand Finale episode, click here>>. In the coming months, events will be held throughout Connecticut in celebration of reading and The Great American Read. To find an event near you, click here>>. To view The Great American Read’s list of America’s 100 most-loved books, click here>>. Check out the new online series It’s Lit! Hosted by Lindsay Ellis, It’s Lit! is a series of smart, funny video essays from PBS Digital Studios about our favorite books and why we love to read. To view videos from It’s Lit!, and other GAR-related content, click here>>. Join the Great American Read Book Club! Get ready to read and discuss the novels. Go to Facebook to join the Book Club, here>>. How many books have you read? Have you read all 100 books on the list? Take the reading scorecard quiz to find out; launch the quiz here>>. Which novel has had the biggest impact on YOUR life? Share your story here>>. 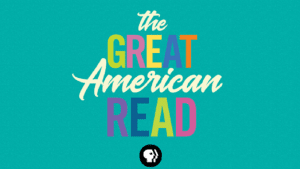 The Great American Read is a new eight-part television competition and nationwide campaign created by PBS in partnership with the production company Nutopia. It is designed to explore the power of books and the joy of reading through the lens of America’s 100 best-loved novels, as voted on by the public! 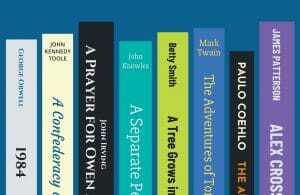 The full list of 100 titles, chosen from a demographically representative national survey conducted by YouGov, is now available as of April 20, 2018 (see the link at the top of this page to view the list). 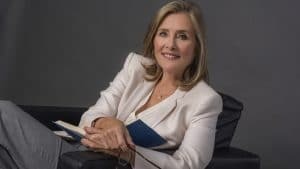 The Great American Read will be hosted by television personality and journalist Meredith Vieira. As host of the series, Vieira will tie together the overarching themes of our national love of literature and guide viewers on a search to discover America’s best-loved book. The Great American Read is supported by an extensive multi-platform digital and social media campaign designed to inspire Americans to read, vote, and share their personal connections to titles on the top 100 list and beyond over the course of the summer. Additionally, working with member stations and partners, PBS will develop resources and materials to extend the campaign and encourage summer reading activities. Key authors, celebrities, and notable figures in the entertainment, sports, news, and literary worlds will lend their voices and passion to The Great American Read — including Margaret Atwood, Lesley Stahl, Devon Kennard, Junot Díaz, and many others who, throughout the series, will share their personal stories and connections to their favorite titles. For more from The Great American Read, click here>>.